The main thoroughfare of Oceti Sakowin camp, on the edge of the Standing Rock Sioux reservation outside Cannon Ball, North Dakota. Photo courtesy of ABC. The Standing Rock protest movement has captured the hearts and minds of individuals across the world, and today, a critical turn of events occurred. At about 4:30 PM, The Army via assistant secretary of civil works Jo-Ellen Darcy, released a statement rejecting Energy Transfer's application for an easement on construction of the proposed route crossing through the Missouri River just a half-mile from the Great Sioux Reservation. Instead, Darcy opted to consider alternate routes for the pipeline. The Dakota Access Pipeline Project, a proposed 1,172 mile pipeline that would cross through four states and bring crude oil to new markets more efficiently, was projected to be inserted in part under the Missouri River, sparking massive uproar of the neighboring Native American Sioux tribe who rely on the river as a water supply. 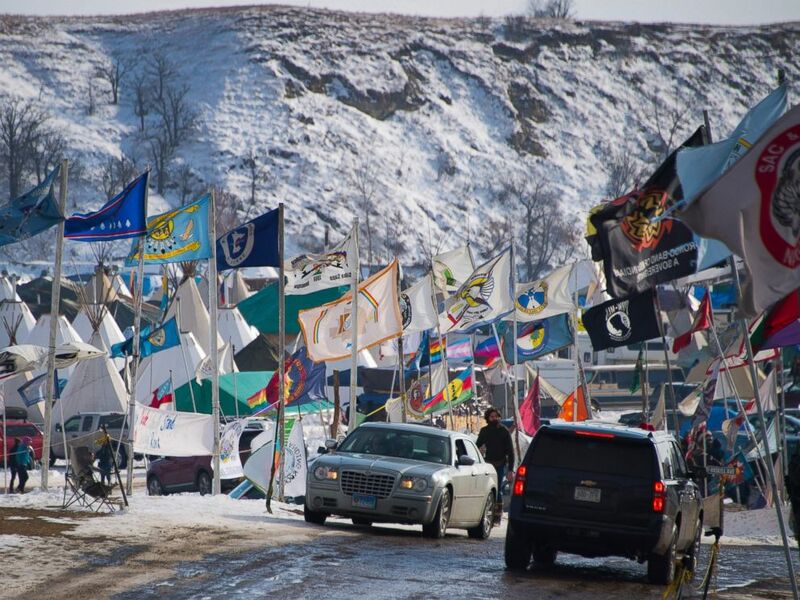 "Although we have had continuing discussion and exchanges of new information with the Standing Rock Sioux and Dakota Access, it's clear that there's more work to do," Darcy said. "The best way to complete that work responsibly and expeditiously is to explore alternate routes for the pipeline crossing." Darcy plans to accomplish this further insight into the territory in question by conducting an up-to-date environmental impact survey, as well as seeking much public input and analysis. With this victory, the possibility of an alternate route for the pipeline far away from tribal lands being explored has likely just increased exponentially. Standing Rock has effectively turned from singularly a symbol of struggle and frustration to a powerful, effective force of change in the nation.